On this episode of "Posting Up," host Tim Bontemps talks to Anthony Slater about the Warriors, Rockets, Thunder and more. Then Bontemps signs off for a final time before moving on. The Athletic's Bill Oram stops by to talk about the first two weeks of the LeBron James era in Los Angeles, plus how Brandon Ingram, Josh Hart and Lonzo Ball will factor into how good the Lakers will be this season. 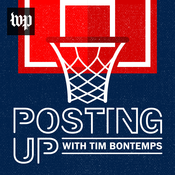 On this episode of "Posting Up," ESPN's Tim MacMahon stops by to discuss the findings of the investigation into the Dallas Mavericks, how good Luka Doncic could be, what is next for Jimmy Butler and if the title window has closed for the Houston Rockets. On this episode of "Posting Up," The Athletic's Gina Mizell stops by to discuss the team she covered last year, the Denver Nuggets, and the team she's covering this year, the Phoenix Suns. On this episode of "Posting Up," Dan Woike from The Los Angeles Times stops by to discuss the upcoming seasons for both the Clippers and Lakers.